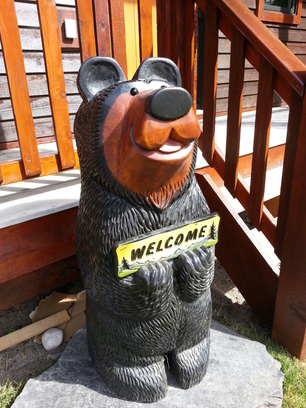 The Banff Bear B&B suite is a two bedroom self contained apartment which is the perfect getaway for two couples, friends, or adult family. 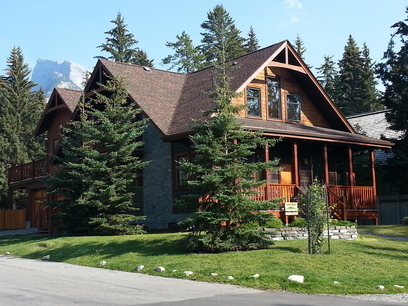 Located at the foot of Tunnel Mountain in Banff, 5 minutes walk from downtown, the Bow river and the Banff Centre. 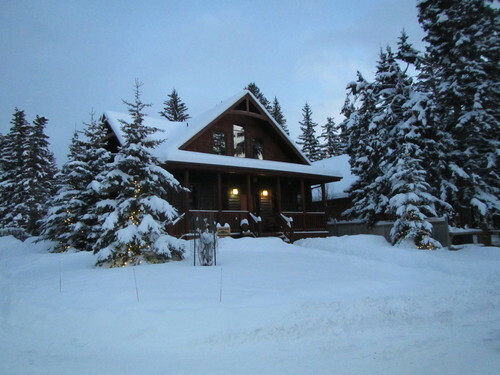 The Banff Bear B&B Suite is the ideal private retreat after a full day of sightseeing, hiking, or skiing, or it can be your quiet hideaway where you can relax, and have some down time. Sit out on the private deck, like a local, and soak up the glorious surroundings with views of Mount Norquay and Cascade Mountain. On occasion watch the deer and elk that wander the town site and graze on the lawn. The suite has it`s own private entrance so that you are provided with complete privacy. The suite is yours to use throughout the day. We provide breakfast supplies on your arrival, rather than a served morning breakfast. This allows you the freedom to have breakfast when you are ready, meaning you are able to get up with the sunrise or laze around in bed. We try to achieve a balance of giving you a local experience and allowing you privacy to enjoy your visit uninterupted. We meet you on arrival and show you the accomodation and, as we just live upstairs, we are available if you have any questions, or need anything during your stay. The suite gives you an excellent base where you can chill out in the privacy of your place, while you are in Banff. Each of the light and airy bedrooms has a queen size bed, a closet and an ensuite bathroom with shower. Whether you are here to enjoy summer activities or on a winter holiday, we would be happy to help you with itineraries, bookings and trip ideas. Those with severe allergies should note that, though we don`t allow them in the suite, there are two friendly dogs that hang out in the main house and the yard. They do love to say hello to visitors in the constant hope of treats or walks!. The property is not suitable for children, so we can`t accept bookings with children under 16 years of age.